In family law cases, if there are children there is child support. And most states now require an order for support anytime the court considers children’s issues. But unfortunately, getting an order for child support and collecting child support are two separate jobs. A common procedure for enforcing child support is the Motion for Contempt. 4. The opposing party must have the capability to comply with the court order and is purposefully refusing to comply. Many states have available self-help forms that are valid for family law cases. Among those forms you may be able to find a generic “Motion for …” that you can turn into a Motion for Contempt. In that Motion, you must say facts that lay out conditions one through five, the requirements for a Contempt Order. 1. An order was entered on January 1st, 20__ for child support in the amount of $999 monthly. That order is attached. 2. The Respondent is in arrears in the amount of $9999 as of the date of this Motion. 3. A good faith letter requesting payment was mailed to the Respondent on March 1st, 20__. The Respondent has not replied to that letter. 4. The Respondent is earning $999/week and has the present ability to comply with the order. 1. Order the immediate payment of the money. 2. Send the non-complying party to jail, contingent on payment of a specified sum. 3. Order liquidation or sale of assets in sufficient amount to comply with the order. You must identify existing assets and give proof to the judge. 4. Suspend driver licenses or other professional licenses. 5. Issue an Income Deduction Order. Another common name for this is a garnishment order. This order allows directly debit from the Respondent’s payroll check. 6. Redirect child support to be paid through a state agency, sometimes called state disbursement units. Every state is slightly different so you should do more research before taking these steps. Also, many states have a child support enforcement agency that will help you enforce support. The pros and cons of these services is a topic for another day. 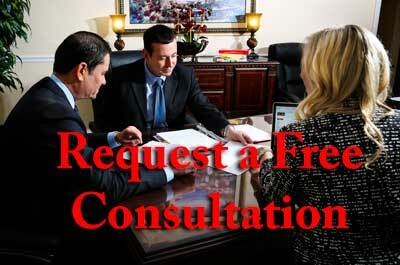 Other options include private attorneys, and paralegal services. The main thing is to do your research, make your plan, and then move forward with your case. Howard was my lawyer during my bankruptcy and he was fantastic. Understanding, non judgemental honest and upfront… all the things we hear that lawyers aren’t. Even almost a year after my case was done with he corresponded with me through e-mail and over the phone with my questions. I would recommend him to anyone.